Most accelerators and angel groups have a web-based process for applications. Therefore, even if you have been recommended in, you will often be asked to fill out the application online so that you are “in the system” (often Gust). Especially in an angel group with 10 members or more, having the application in the system means that everyone in the group can see it and work on it easily. Many angel groups use a system called Gust to handle application intake. You will fill out everything and upload your package of information, which usually includes your business plan, a description of the management team and a PowerPoint deck that you will use when presenting your company. Once your application has been submitted, it will go through some kind of screening process. Angel groups and accelerators can receive a lot of applications, and the screening committee will sort through them to find the appropriate companies. Does this company seem to be a “lifestyle company”, or does it have a plan for growth and an exit? A lifestyle business is generally the kind of business that opens, grows to a certain size and then maintains that size, providing an income (and a lifestyle) for the owner. Lifestyle businesses are rejected. 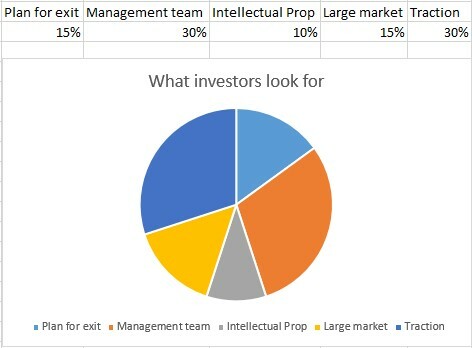 If there is no intent to grow rapidly and then exit, an investor generally is not interested. Does the company match the profile of the type of company that the accelerator or angel fund looks for? For example, if you are seeking funding for a seed-stage company in the technology sector, but the fund specializes life sciences companies, then your application will get rejected because it does not match the fund’s objectives. Does the company have a management team with experience, or the stated intention of hiring a management team with experience? The lack of an experienced management team can be a problem unless the company has demonstrated traction. Does the company show that it is properly managing its intellectual property? If the company depends on some new technology, the patents need to be taken care of. Is the company operating in a large market? You should be able to show that the total market size for your company is big enough to support a new company and capture a sizable revenue stream. For example, imagine that you plan to open a new pizza chain with a revolutionary concept that will make it more popular than Papa Johns. And you have the test marketing to prove it. Americans spend $14 billion on pizza every year. If you capture 1% of the market, that is $140 million per year in revenue. That might be interesting to investors. Or imagine that you have designed a revolutionary new baby stroller and you can demonstrate that parents spend $500 million a year on strollers. If you capture 10% of the market, that’s $50 million. That might be interesting to investors, although many will be skeptical of the 10% number without proof. But what if you have created a new framistatic defibrillator and the total sales of framistatic defibrillators averages $2 million per year? As a general rule, investors will not be interested. A $500 million market size is the lower end of what most investors consider. Traction – can your company demonstrate traction in the real world? There may be a phone screening process at this point as well. If your application passes all of the fund’s or accelerator’s tests, then the screening committee will recommend that your application moves forward. If not, you will receive a rejection letter.